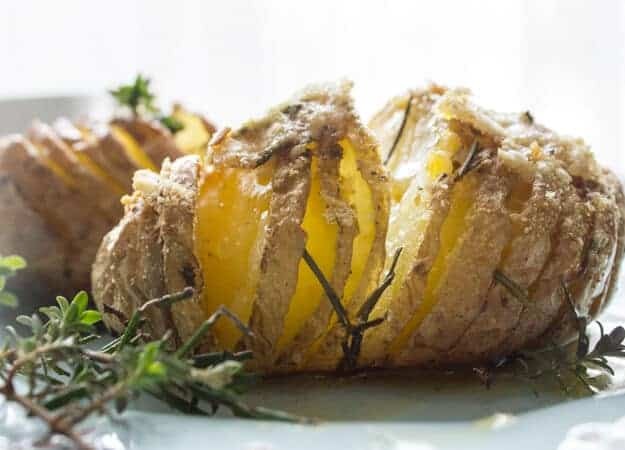 Italian Parmesan Spiced Hasselback Potatoes are a delicious side dish, simple and perfectly spiced, baked and topped with freshly grated Parmesan Cheese. I like potatoes, anyway, anyhow. Roasted Potatoes, Scalloped Potatoes, a Creamy Potato Soup and even Potatoes disguised as Gnocchi! Although the Italian not so much. Nor is my husband a great lover of Pasta unless of course it is Baked, as in Lasagna or Gnocchi especially a white sauce variety. And potatoes? Well basically as long as they are Baked or Roasted too. 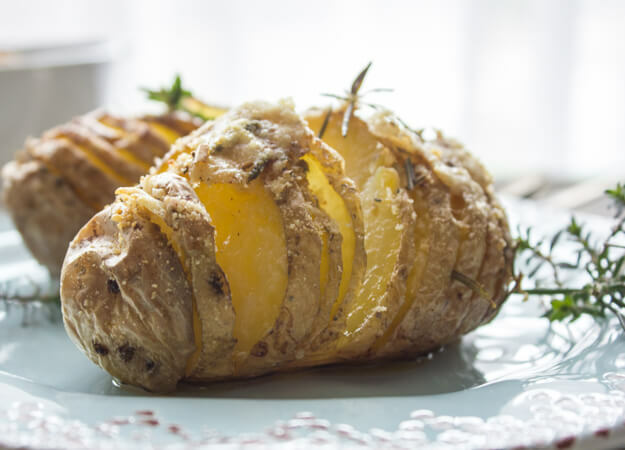 So when I decided to make an Italian version of the Hasselback Potato he loved it. Especially when I added some grated fontal cheese. 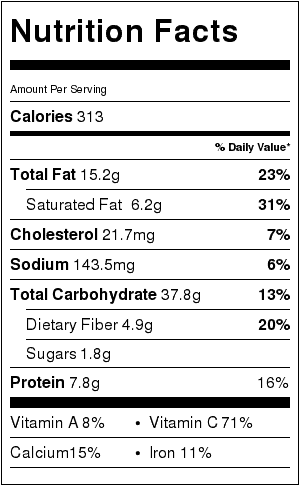 With the American Thanksgiving just around the corner I thought an easy side dish would be perfect. 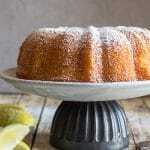 Even if you aren’t celebrating Thanksgiving a yummy side dish never hurt. Here are some other delicious side dishes you might enjoy. When making these Potatoes make sure you don’t cut all the way through, they have to be cut fan like. Brush them with half the butter and oil mixture and sprinkle generously with some spices including oregano, thyme and rosemary. 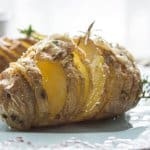 Halfway through baking add the rest of the butter mixture and at the very end when the Hasselback Potato is nice and tender, sprinkle with Parmesan Cheese or even some firm mozzarella or Fontal cheese. Bake until cheese has melted. Delicious. Buon Appetito! 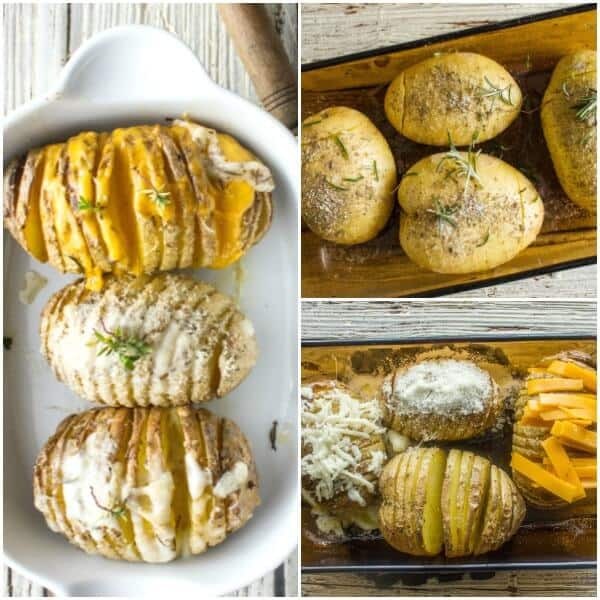 Easy Baked Italian Spiced Parmesan Hasselback Potatoes, the perfect side dish Potato recipe, perfectly spiced and cheesy. 1/3 cup freshly grated Parmesan cheese **Fontal, firm Mozzarella for example. Pre-heat oven to 425°, lightly grease a medium baking dish. Slice potatoes straight down but don't cut all the way through to the bottom. Make the slices about 1/8" thick (not too thin or too thick). In a small bowl mix together melted butter and olive oil. In another small bowl mix together chopped rosemary, oregano, thyme, salt and pepper. Brush half the butter mixture between the slices of each potato and sprinkle with spice mixture. 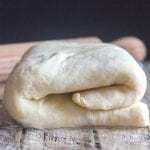 Remove from oven and drizzle with remaining butter mixture, bake for another 30-30 minutes or until potatoes are tender. 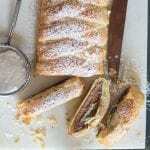 The last 5-10 minutes of baking time top with grated Parmesan or your Cheese of choice. 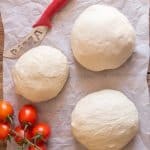 Remove from oven and serve immeditaly. Enjoy! If you are wondering what to serve for dessert, well I could have you covered in that department too! If you are looking for something decadent. How about what to do with all those leftovers? How can I make these at the same time as your meatloaf if the temperatures have to be different? Hi Courtney, I would advise you to bake the potatoes at the same temperature as the meatloaf (350F) and just cook them longer than the 30 minutes. Hope that helps. Thanks Srivdhya, hope you enjoy it. I think this is going on Thursday’s menu for a change. Thanks! Hi Teresa, thanks let me know how you liked it. Happy Thanksgiving. These sound so good! 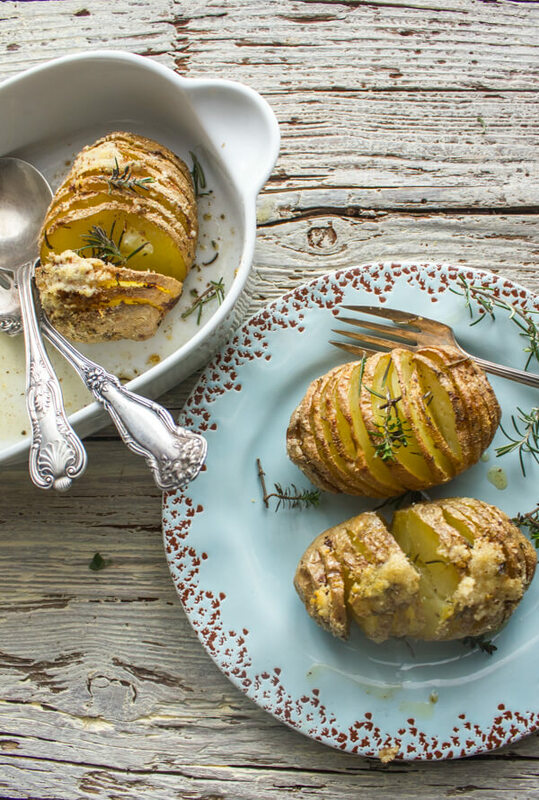 I’ve never met a potato I didn’t like, and I am certain I would love this! Saving for later!! Happy Thanksgiving! Hi Angelina, thanks, I hope you do, and Happy Thanksgiving.